All good parents want the best for their kids. That includes good health, which means you need to teach your kid how to eat healthy. How do you do this? A lot of scientific research has been done on this topic and it turns out one of the most popular strategies parents use is the one that backfires the hardest. In this article I’ll summarize the consensus findings of over 120 studies into 8 tips on how (not) to raise your children to eat healthy. My primary interest in this topic actually comes from the psychology of diet adherence in personal training. As it turns out, getting your children to eat healthy is very much like getting your clients to adhere to their diet. So if you’re a fitness professional, you’ll probably find this article useful even if you don’t have kids. This is an intuitive mistake made by parents around the world. They want their kid to eat healthy, so they pressure them into eating healthy foods. “You have to eat your vegetables.” It may get them to eat the foods right now, but it fosters a negative association with the food, which in the long term makes them eat less of the food (Gregory et al., 2011). Instead of pressuring your kid to eat their veggies, set the right example. Eat enough vegetables yourself. Children with parents that set the right example by eating lots of fruit and vegetables are likely to end up consuming many fruits and vegetables (Galloway et al., 2005; 2006). And by eat, I mean eat, not say. Children aren’t stupid. If you tell them to eat healthy but don’t eat healthy yourself, they’ll spot the hypocrisy. Just like pressure, rewards undermine someone’s intrinsic motivation. This is called the overjustification effect in psychology (Tang & Hall, 1995). Even if someone is motivated to do something, providing an extrinsic reward, such as money or candy, for the completion of the task, makes them think the reward is why they did it. So if you reward your child with candy after eating her vegetables, she’ll learn she only ate the vegetables to get the candy, even if she originally liked eating the vegetables. In her mind, the value of candy increases and that of vegetables decreases. Moreover, having someone eat for reasons other than pleasure may undermine their ability to regulate their food intake based on their appetite signals and can thereby foster overeating (Jansen et al., 2008). So don’t reward your children for eating healthy food. Teach them the inherent rewards of healthy food: pleasure, satiety and good health. Gardening is a natural way for children to be exposed to new foods and develop positive associations with these foods. As a result, gardening programs are an effective way to get kids to eat more fruits and vegetables (Langellotto & Gupta, 2012). Physically touching and investigating new foods seems to be particularly important for children to become interested in them (Nederkoorn et al., 2018). Don’t have a garden? 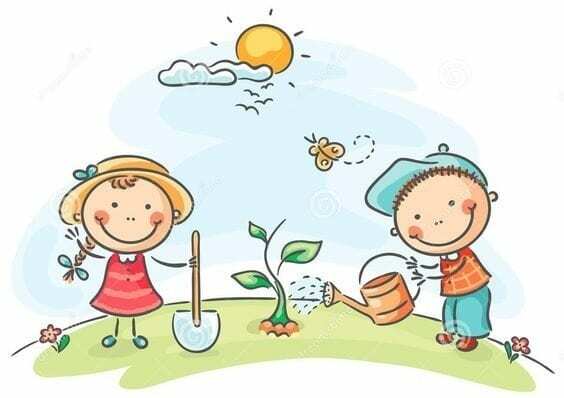 See if your school or community has any gardening programs. 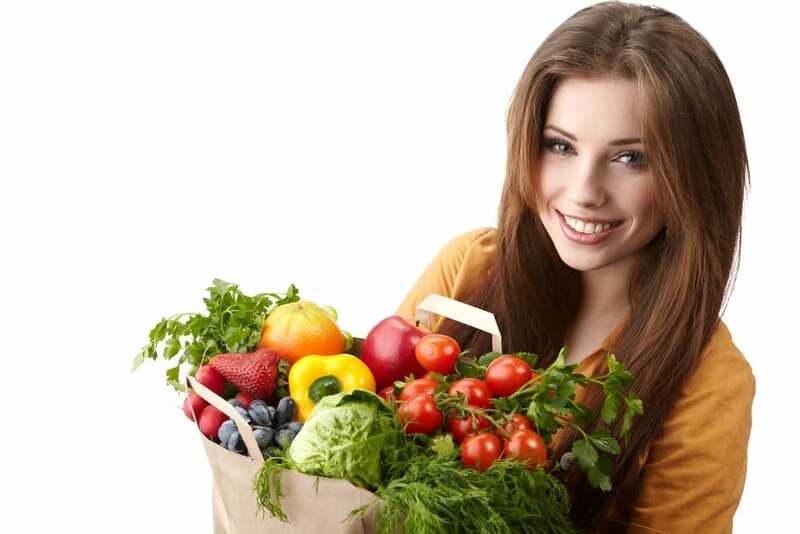 You can also get the benefit of exposure to healthy foods with the following tips. We all have an ‘internal menu’ that is formed by exposure to food cues from our environment. Our internal menu shapes what we choose to eat. While you don’t want to overtly control your child into selecting the right foods, you can control the environment she’s exposed to and thereby help shape her choices by changing her internal menu. Children with high exposure to fruits and vegetables at home are more likely to eat fruits and vegetables (Rasmussen et al., 2006). So try to have your child have access to healthy, ready-to-eat meals, such as salads and fruits. In this sense, teaching your kid early to use a microwave to heat prepared meals may be beneficial. And no, the radiation from occasional microwave usage is not remotely enough to cause health damage (Goldsmith, 1997). People eat food that tastes good and children are no exception. If you give them nothing but bland broccoli at home while they’re exposed to donuts and pizza outside the house, they learn to associate unhealthy with tasty. That’s a recipe for disaster (no pun intended). Instead, an effective way to increase the consumption of healthy foods is to make them tastier by a chef (Cohen et al., 2015). With that in mind, check out our recipe section for healthy foods to prepare for the whole family. Even better than cooking for the child is teaching the kid to cook itself. Learning to cook increases children’s willingness to try new foods and can increase their consumption of healthy foods (Allirot et al., 2016; Caraher et al., 2013). Don’t be a slave to the recipe! Let your child experiment. Who knows, she may just put Jamie Oliver to shame. Junk-food manufacturers try to get your kids to eat their crap with clever advertising tactics. An abundance of research has been done on branding, advertising and food packaging to maximize profits. If your kid comes to school and has to choose between her plain, worn-down lunch box and the shiny, red McDonald’s Happy Meal in the cafeteria or the restaurant across the street, can she resist the temptation? Fortunately, we can use their knowledge against them to make your children eat healthier. 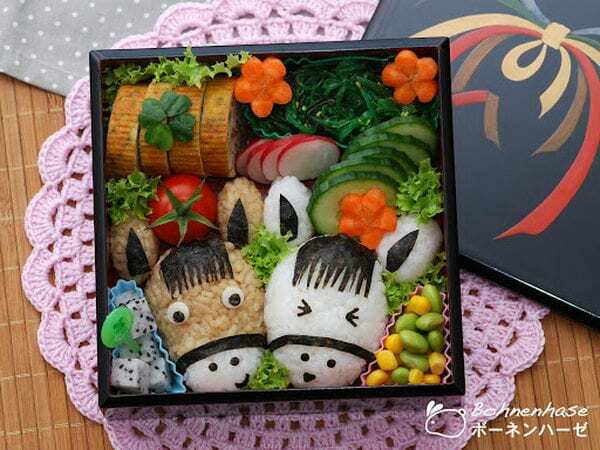 Children prefer fun and novel food packages with a name, especially if they have a familiar and liked cartoon character on it (Elliott et al., 2013; Letona et al., 2014). So if your kid likes Adam The Bear, don’t give her a plain banana. Put a sticker of the bear on it inside Adam’s Secret Banana Box. The effects appear to be temporary, as children are constantly seeking novelty, so be creative and try to keep up with what your child likes. If you want your children to be cool, be a cool parent. Children are adaptive little explorers. 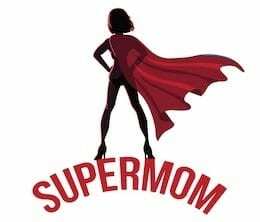 They don’t need to be chained and force-fed by Stern Father and Nagging Mom: they just need to be nudged in the right direction by Super Mom & Dad. And don’t sweat the small stuff. Children are highly adaptive. You can make mistakes in their education and they’ll still turn out fine.